We are attempting to blend a 2D and 3D experience with Everend. What I mean by this is the game looks like a 2D side scroller and for the most part plays like one; however, the character has full 3D motion in the world. The game starts with the player lost deep in a cave. They will travel through several levels solving puzzles and avoiding obstacles on their journey to the surface. The puzzles are based around a core set of mechanics, namely, fire, water and flight. The player has the normal set of abilities like jumping, swimming and interacting with objects in the level. Flight, or gliding in this case, plays an important role in many of the puzzles. Not only is it a fun way of getting around in the levels, it can also be used to reach far off ledges and in some cases players can get a boost of speed or height using an updraft. 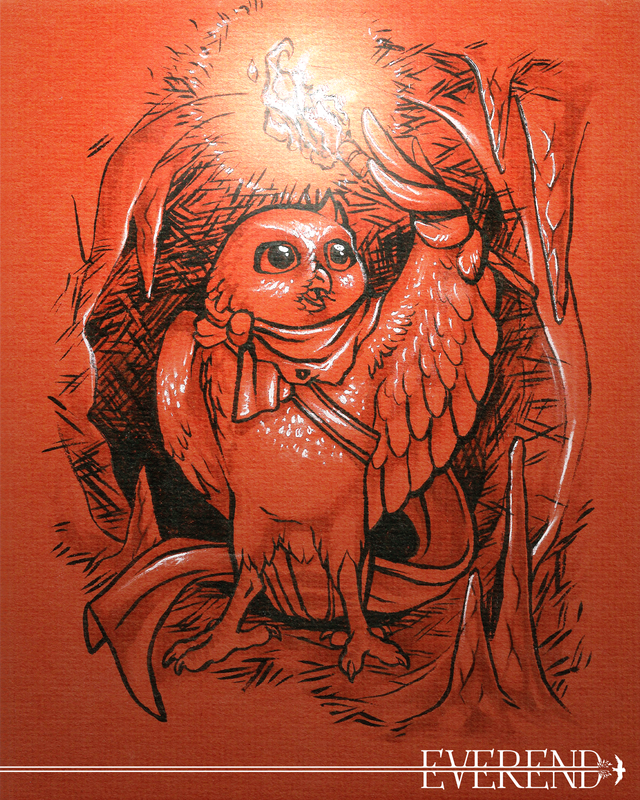 Fire can be used to boost the players gliding, scare off other creatures and can, of course, be used to light your path. However, the player must use their torches sparingly as they only last a short while and can sometimes be difficult to find. Fire can also be used to burn through roots and dead plants to reveal secret paths or shortcuts. Water and caves are a dangerous combination; in Everend its dark depths contain strange glowing fish and other, more dangerous, creatures. To progress in the level the player may have to swim long distances while avoiding falling prey to hidden eel’s that make the dark water ever more dangerous. 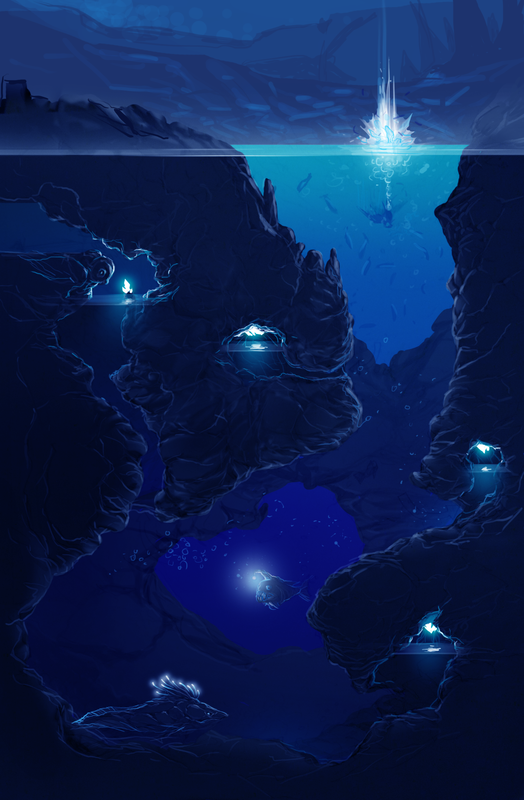 Sometimes water may be too deep or too shallow and the player will have to drain or fill a room to progress. The player will run into other creatures as well. Animals that are used to the dark cave will be frightened by fire. The player will run into moles that are not inherently dangerous, but will attack if you get too close. They can be frightened into a corner with a torch where they will dig their way through the wall if possible. The player will also have to deal with bats that will hinder the player’s ability to glide by continuously crashing into them. The bats can be frightened in a similar manner to the moles, though they may need a little more fire to fully disperse.